Sometimes bands you love just don't get enough recognition for how amazing they are. Whether they're an indie band who never put out more than one album, or a popular band whose best work goes unappreciated, or a band that just hasn't gotten their songs in front of the right people yet, so much amazing music flies under the radar. Album Spotlight is to stop that from happening. If you're not familiar with Imagine Dragons, it's possible you're living under a rock. If you've turned on the radio in the past five years, you probably heard their nostalgic ballad-esque single "It's Time" or their dystopian smash hit "Radioactive," songs that made the band famous. They've continued releasing music since then (aside from a brief hiatus in 2016), and like a fine wine, they just get better with age. However, for whatever reason, this band dropped off my radar after Smoke + Mirrors. I hadn't listened to Evolve until my brother put two songs from it, "Walking the Wire" and "Thunder," on our epic road trip playlist earlier this month. When I got home, I immediately listened to the album again ... and again ... and again. If you're like me and haven't given Imagine Dragons the time of day lately (or even if you have), Evolve is worth listening to. It's an amazing reminder of why this band is so great. There honestly isn't a bad song on the album. Each one packs an electrifying punch. With its synth vibes, the songs on this album hearken back to classic rock in the best way. As always, Imagine Dragons addresses the deep themes in life like love, loss, and perseverance; however, on this album, it seems that they do it with even more maturity than before. Every song has transcendent, relatable lyrics that contain emotion and truth. Some of them are lovely and heartfelt, like the love song "Walking the Wire," and some of them are dangerous and edgy, like the power anthem "Whatever It Takes." No matter your preferred cup of tea or the mood you're in, there's probably something on this album for you. 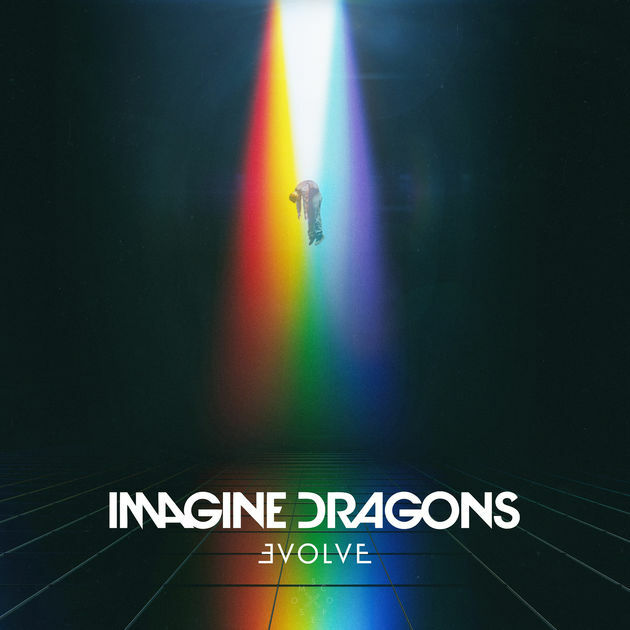 This album is aptly titled "Evolve" because it shows just how much Imagine Dragons has evolved musically, lyrically, and emotionally. It's probably their best work—or at least my favorite work of theirs—to date. Packed to the brim with exceptional musical content, Evolve deserves to be on your radar. If you have an album you want to spotlight for the world to see, send your guest post pitch to thefangirlinitiative@gmail.com.